1. Provides vital primary nutritional support to give the best start to life. 2. Aids the immune system in defending against pathogenic organisms. 3. When quantity or quality of colostrum is inadequate, CALF & LAMB SUPERSTART provides a highly digestible source of energy and protection. 5. Certified EBL, IBR and Johne’s free. 7. Available in 1Kg, 400g, 200g tubs and 200g re-usable bottle. 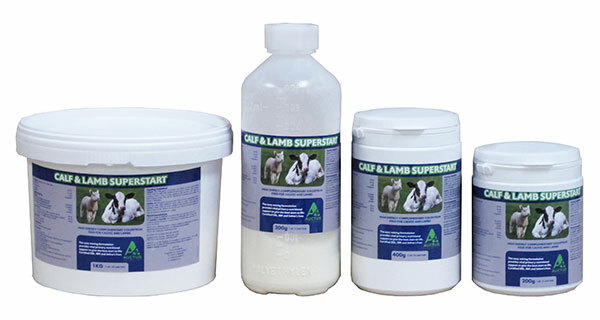 To download CALF & LAMB SUPERSTART product information, click here.